I present to you a series called WISE WORDS, which will feature short interviews from influential, up and coming and young artists, dancers, and teachers alike. Let’s all step into the minds of these professionals to not only find inspiration but to get to know them and relate. First up, New York/L.A. 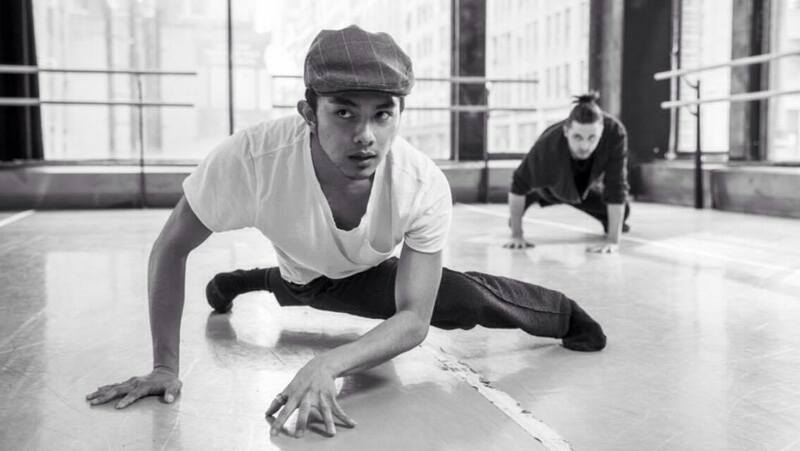 based dancer and choreographer, Norbert De la Cruz III on dealing with harsh dance critics, staying fit and happy, and the importance of finding our own true calling. What is your dance training/education background? Predominantly Ballet and Contemporary Dance. I trained privately in ballet with two coaches from the age 12-17. [I also] attended the L.A. County High School for the Arts and completed my training at The Juilliard School in NYC. I am now a freelance choreographer and teacher based in NYC and L.A. I’m currently working adjunct as a guest choreographer with SUNY Purchase College Conservatory of Dance and the University of Richmond. Describe the reality of your daily schedule. The freelance schedule varies. There are times when you are in 3 different cities within a month, or stationed in a place for 2 months as a choreographic teaching guest or working adjunct at a university or college conservatory on top of teaching workshops on the off days. There’s a lot of time off needed as well. I use that time away to develop my material and practice my lesson plans. I rent out studio space in [New York] to privately develop phrase material that I cannot do in my smaller apartment living space. I spend a few hours sitting and responding to emails and also planning out what the following year could potentially look like. What have you learned from experience in the ‘real world’ that has helped you grow and find positive change? I’ve learned that not every audience member is going to like my work. Also, every one is a critic and you never know what mood people enter the theatre in. As a choreographer, I can’t be jaded or affected by the harsh criticism otherwise it drains the life out of me. My self esteem was at a low when I had gotten a bad review or when I would overhear audience members criticize my work right in front of my face. In a result-driven industry, there’s an intimate process and value of creativity that viewers do not quite see. They don’t know the labor and service required in the rehearsal space to keep the art alive. I’ve learned to take criticism lightly and to value the feedbacks that help improve the following work. Food. Good food. As well as my partner who keeps me grounded and sane; my family who cares and loves me unconditionally; and a feel good music playlist. Very important. You are only able to experience a great change in your work and self if you take these risks. Whether you risk looking like a fool or take a chance on a particular opportunity, you need to be able to fight and wrestle your internal monsters and go for it. Otherwise, it’s a wasted time that leads to regrets. There’s enough people and voices in your head that tell you that you aren’t good enough, therefore in order to take risks, we need to drop the ego and recollect what is truly and actually important to our work and well-being. Who are a few influential people that you’ve worked with and/or met? As a dancer, I’ve had the privilege of working with choreographers such as Ohad Naharin, Aszure Barton, Dwight Rhoden, and Desmond Richardson. I’ve met and have been mentored by internationally renowned choreographers such as Jorma Elo, and Nicolo Fonte. What are your ‘go-to’ strategies to keep your mind and body healthy in shape as much as possible? Along with lunch and dinner, I eat a decently portioned breakfast every morning. Green tea to drink or honey ginger in the morning. Have snacks throughout the day. Food=energy. As I don’t dance professionally full time anymore, I have to keep up with body conditioning and properly warming up hours before my rehearsals and even before I leave the house. I would do about an hour to 1.5 hours of yoga, Pilates, trunk stabilization, into a light ballet barre. That’s helped me cope with my arthritic hip pain as well as being able to walk evenly and properly in the street. Any advice for budding dancers and performing artists alike? Don’t take anything personally. Drop your ego. Know what healthy competition is. Acknowledge that every one is bred and born into this world very differently. After training as a dancer, it is likely that many of us will have different trajectory paths and callings towards our true profession and purpose. Be a genuine person first before transforming into “the artist.” Acknowledge that you are still a human being and understand all the consequences, the success, and failures that follow with just being human. Pick yourself up over and over again.